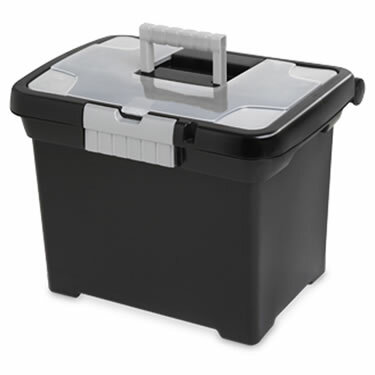 Sterilite's portable file box really can be your office on the go. Take files that are letter-size on the go inside the file box. The lid itself offers additional storage. Store paper clips, pens and pencils, a ruler, tape, scissors and sticky notes - making it a desk on the go. If you need additional secrurity, the box can accomodate a padlock (not included).